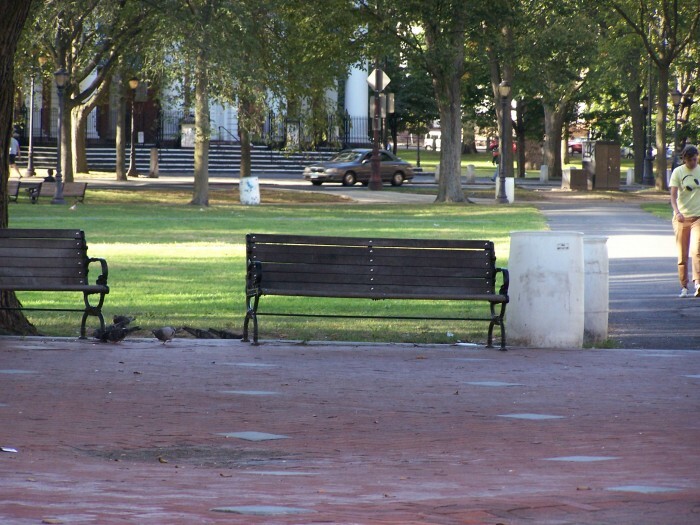 The teen sat on the park bench, hungry, tired, jobless, a boy of New Haven, Connecticut. He wondered what the world would hold for him. He sat staring into space, after awhile his focus landed on a beautiful girl across the street, near the corner of Church and Chapel Streets. She was made of wood! 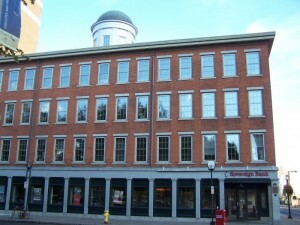 It was this girl that led him to climb the stairs to the third floor ship carvers shop of Mr. Northrop. I can almost envision him sitting there today, a gangly teen of 14, with that hungry look in his eyes. The year would have been about 1849. I sat there, one day, for half an hour and felt the 150 years between us slip away. It was as if I sat beside his ghost. Like he was re-living the day in New Haven when his career launched and he found his path into the world. 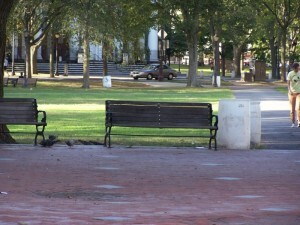 Not haunted, but living, this bench in New Haven has seen thousands of hungry sitters. How many were destined to one day sit in the White House? 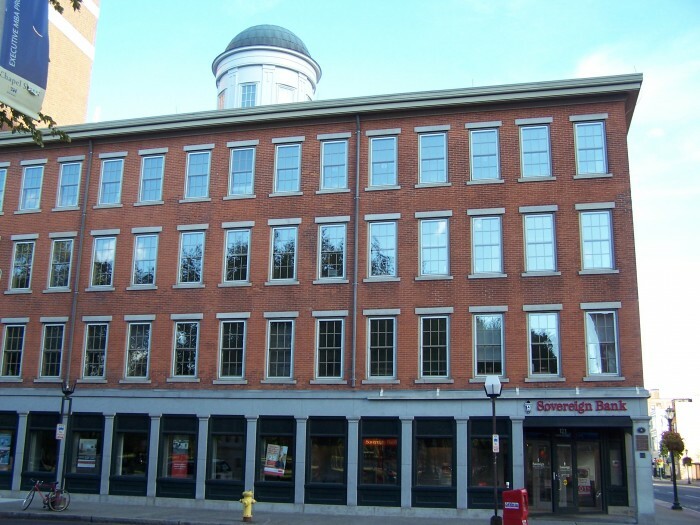 George Henry Story, crossed the street, mounted the steps to the ship carvers shop on the third floor. Soon he had a position as an apprentice. 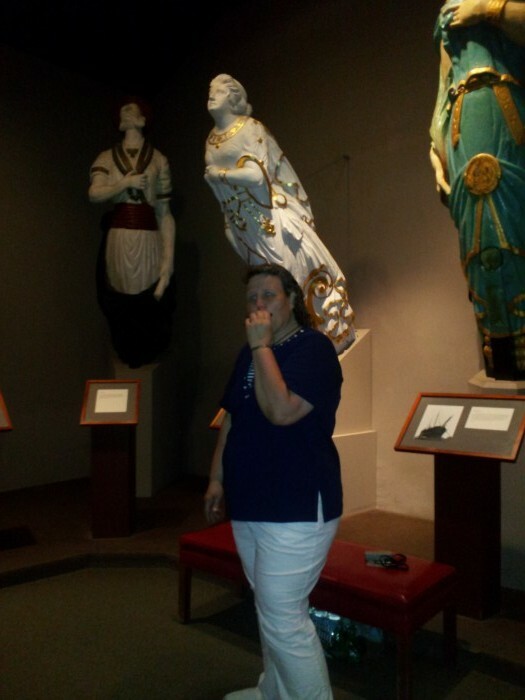 He would carve wood figureheads for ships and tail boards with ships names and port of origin. Amazing, I can sit and look up at those windows, I almost hear the lost voices. A century and a half have not erased the moment. The hungry boy had found a position, and his next meal. Young George started his journey from that humble park bench. Luckily he wrote an account of his experience. This is my treasure as a family stories enthusiast. I hope people look carefully to preserving their family treasures, journals, diaries and writings! Letters are also key to many family stories, even if they need further research to develop. George went on to become apprentice to a painter and began a painting career two years later. At age 26 he sat in the White House for three days in the office of President Abraham Lincoln. He made preliminary sketches and took copious notes of the events that transpired in the office during his visits. He then painted the White House portrait of President Lincoln, that is now hanging in the Presidential office. 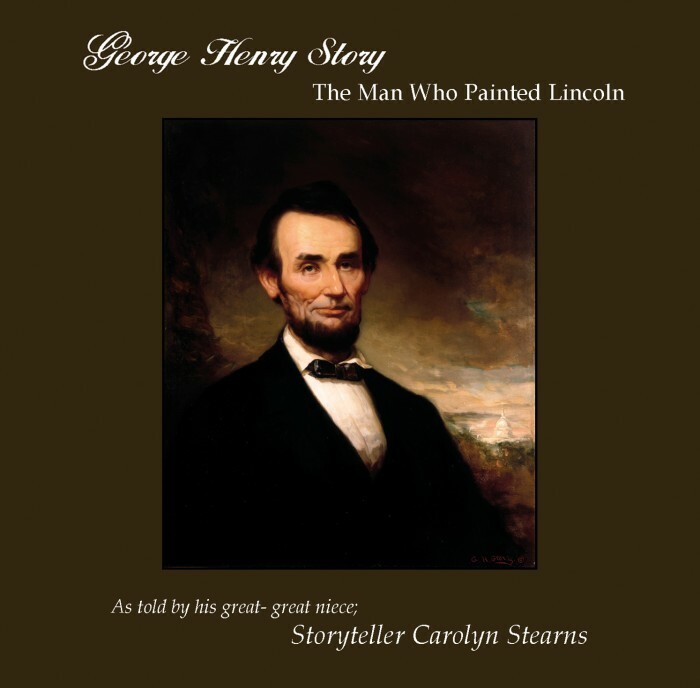 I used the writings of my Great Uncle, George Henry Story to create an award winning CD. I have only used seven of his stories from those writings. I am developing more of his content for future release. I hope that people interested in art will find the stories of the painter equally interesting. The CD is available on my website, I’ve shared copies with many in the family. What will you do with your family treasure? This week, make a point to share a family story. Your story does not have to end at the White House, it can be as simple as the day you found your lost dog, just tell it! Write your stories down, 150 years from now, someone may sit where you once did and feel they know you and your world, because you cared, and shared.